The Ritz Trio are excited to announce their collaboration with the stunningly talented vocal group the “Nighting Gals”. 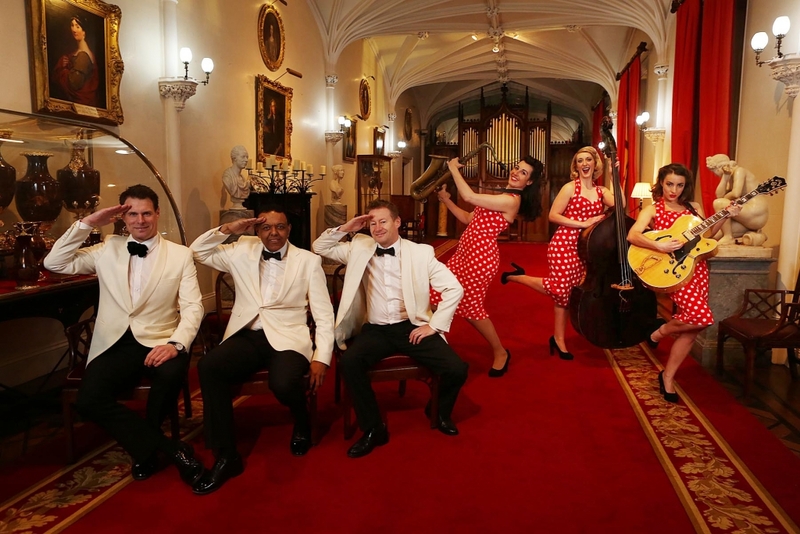 The Gals accompanied by the Ritz Trio will perform some of the classic tunes performed by the Andrew’s Sisters such as “Don’t Sit Under The Apple Tree” “Boogie Woogie Bugle Boy” “Mr Sandman” “Chatanooga Choo Choo and “Sisters”. They also sing a few more modern tunes performed in the same style including a quirky version of Lady Gaga’s pop tune “Bad Romance”! Joined by the fabulous Ritz Trio this sparkling, foot-tapping performance could be a perfect addition to a stylish wedding, corporate event or private party.